Before you run a report, choose which report to use and configure it to set parameters, choose the file format, and schedule when the report runs. Optionally, from the list of report types, select a group of reports. For example, you can click Agent Reports to see all of the available reports about agents. For the report you want, click Select this report. In the Report Name field, enter a name for the report. If the Customer Parameters section appears, specify the values for the parameters, such as users, queues, or media types. If custom parameters do not appear, the report does not require them. Note: You can select only queues or users that are in divisions you have access too. For more information, see About access control. Optionally, if the report has a User(s) parameter, use click Advanced and add multiple users at a time. Next to the User(s) field, click Advanced. Search: Lists users matching the name entered. 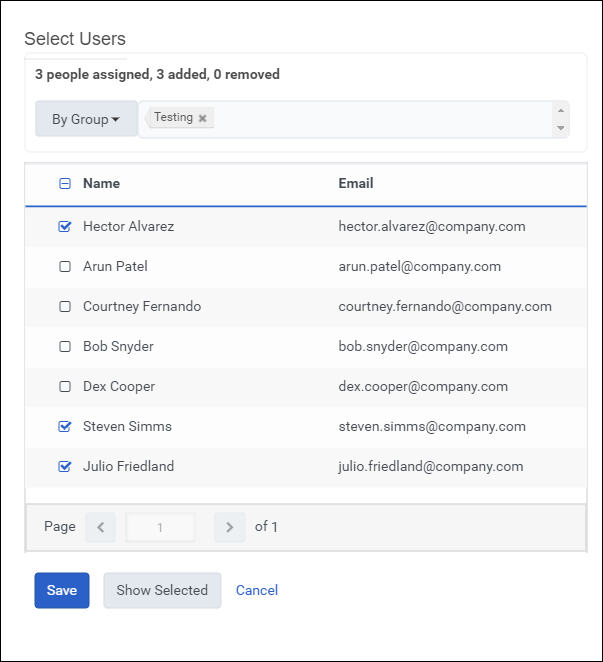 By Group: Lists users who are a member of the group entered. By Role: Lists users who have the role entered. Reports To: Lists users who report to the user entered. After searching, select the users you want to add to the report. Click Save. PureCloud adds the selected users to the report’s parameters. In Report File Format, select the format you want. Available formats include .pdf, .xls, and .xlsx files. Now: Run the report when you save the report’s configuration. Schedule: Run the report based on a schedule, such as the first day of every month. After you select Schedule, you can determine how often and when to run the report in the Recurrence and Schedule Properties sections. Note: Determine the optimal time to run the report based on the size of the report, who is going to use it and when, and what other jobs consume system resources. For example, schedule a daily report which covers the previous day’s activity at 1:00 am when system resources are high. The user of this report can review it first thing in the morning. For more information, see Reporting best practices. To choose which dates the report covers, in Time Period list, select a pre-defined date range or define custom date range. If you select Define custom date range, then click the dates in Custom Date Range to choose your date range. On the main Reports page, the Download column indicates whether the report is ready for you to view. If a report format appears in this column, then you can click it to download the report to your computer’s Downloads folder. 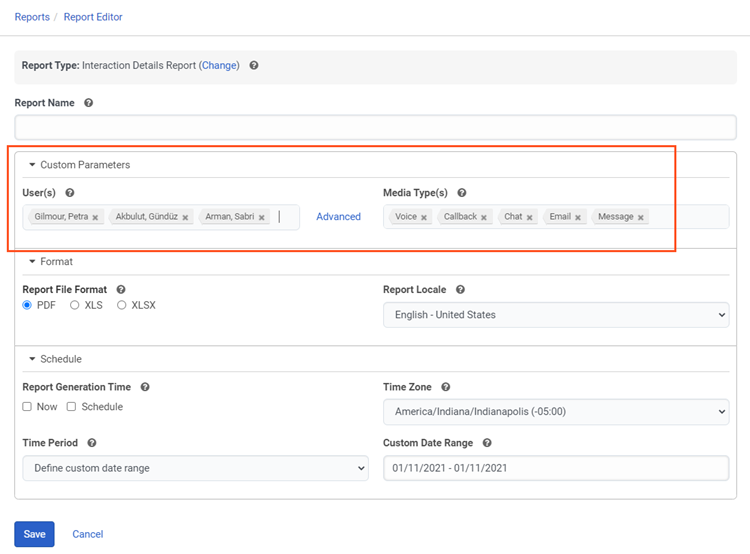 Note: If you do not select Schedule for the Report Generation Time, then on the main Reports page, the Enabled column shows Disabled for the report because the report run is not scheduled to run. You can still edit and run the report.